The Steinway Crown Jewel collection is an exclusive series of spectacular grand and upright pianos that feature particularly fine veneers. High-quality Macassar Ebony, East Indian Rosewood, Bubinga, and Amber Wood are all available for grand pianos, whereas Pommelé Mahogany and Indian Apple are the standard veneers for upright pianos. The veneers are meticulously put together with great artistic skill by Steinway experts. Each instrument is therefore a precious and unique masterpiece. To emphasize this uniqueness, a flawless diamond is embedded in the keyboard lid of each Crown Jewel grand or upright piano. The accompanying certificate is presented to the owner together with other documents, including a high-quality book and DVD about how the instruments were created and an invitation to attend an exclusive tour of the Steinway factory in Hamburg. These papers are presented in an elegant box made from the same veneer of the instrument. 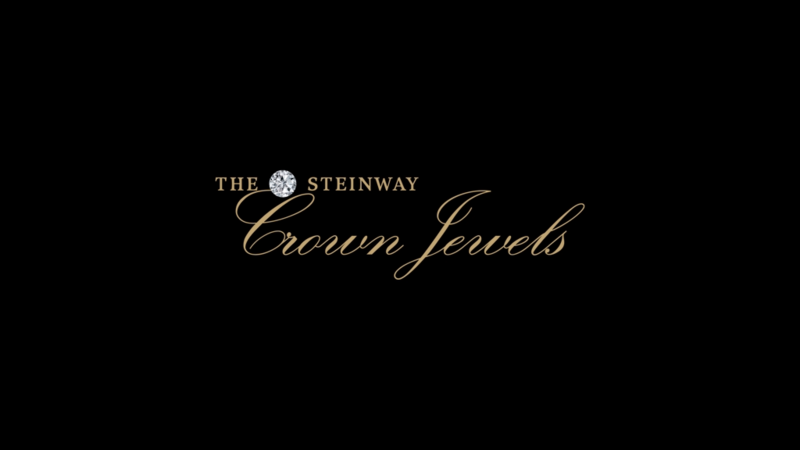 The Steinway Crown Jewels are available in all sizes of the Steinway & Sons product range. Discover the fascinating world of these elegant and precious grand and upright pianos.